A classic striped throw design crocheted with our Chunky yarn. The throw crochets to a size of about 130cm x 80cm (51'' x 31''). 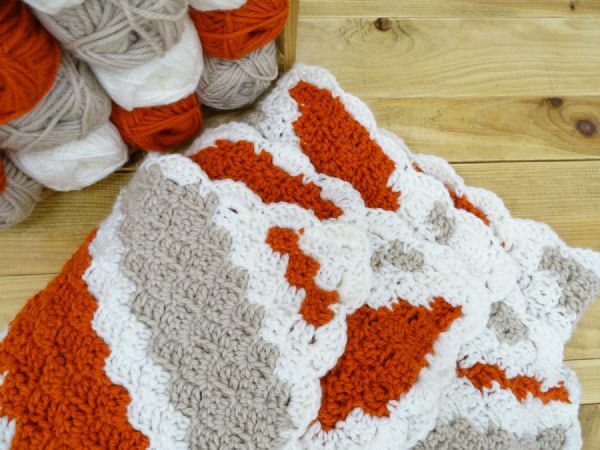 The kit includes 10 balls of Marriner Chunky yarn and the free printed crochet pattern. 7mm Crochet hooks not included. You can purchase the individual pattern MC017 to download here.